Financing multifamily investing is an underrated form of real estate investing. Although houses have typically made up a majority up the housing real estate market, multi-family units are also a strong investment. As a real estate investor, you may be interested in financing a multi-family investing opportunity. If you’re new to the world of investing, know that trading for beginners doesn’t have to be difficult. Read on to learn about the ways you can finance multifamily investments. Seller financing is one method you can use for financing multifamily investing. The seller of the property loans you money for your purchase. This option may benefit you if you have difficulty getting mortgages. You may also be able to go through with your multifamily investments faster with seller financing. Because seller financing cuts out other institutions like banks, you deal with the seller directly. If you need to complete a deal quickly, seller financing may be the financing method you’re looking for. Keep in mind that there is a balloon payment due at the end, and that you should refinance before the period is over. 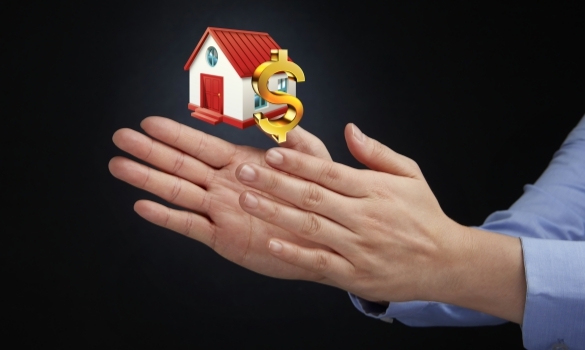 Seller financing is a useful but conditional form of financing multi-family investing. Private money lenders are an unconventional source of financing multifamily investing. Most private money lenders are not connected to banks or other lending networks. You should first look within your own network for a private lender. Consider asking your family, friends, and colleagues. Because these deals are informal in nature, you’ll have less stipulations on how you invest that money. Work out a deal that benefits both parties. You can offer interest on the loan or offer to let them share in your investment. Private money lending will most likely generate small amounts of fast cash for your multi-family investing opportunity. Mortgages are the traditional method for financing multifamily investing. As an investor, you may be thinking “what stocks should I invest in?”. Keep in mind that multi-family mortgages usually have different term from single family housing mortgages. Loan amounts and down payments depend heavily on how big the unit you’re purchasing is. Two unit mortgage loan amounts are around $500,000 and four unit properties can be up to $800,000. Multi-family mortgages also have interest rates between 4.5-6.5%. Mortgages benefit investors with good credit and long term planning skills. If you’re capable of making consistent payments over an extended period of time, you should absolutely consider getting a mortgage. Mortgages are a stable way to invest in multifamily properties. You can finance your multifamily investing by getting government backing. Government backed loans have different terms that have advantages over mortgages. You should consider government backing if you don’t want to have large out of pocket expenses. Interest rates are typically deducted from the loan itself. Be aware that government backed loans may have higher rates than mortgages, anywhere from 5-7%. The 3 types of loans you can get are Fannie Mae, Freddie Mac, and FHA. Fannie Mae and Freddie Mac loans are useful for smaller multifamily units. The FHA loan is for 5 unit or larger multi-family properties. You should also consider government backed loans because they have flexible term lengths, between 5 to 35 years. These government back options at government-approved mortgage lenders. You should consider government backing for your multifamily investing options if you’re looking for less out of pocket expenses. Crowdfunding is a modern financing method for multifamily investing. Unlike with other methods, you aren’t dealing with formal institutions. Crowdfunding lets a group of people pool money together on a crowdfunding platform to fund a purchase. You should consider crowdfunding from two perspectives: investing in the platform and managing the purchased property. If you invest in the project, then you will not be the owner of the property. However, crowdfunding platforms require less money and have lower risks attached. You can invest some of your money and passively gather returns. If you decide to run a crowdfunding platform, you will collect the money and manage the property. Though this can be a fast, effective means of financing, keep in mind that you may be beholden to the thoughts and opinions of several investors. Also keep in mind the best place to buy stocks online since they are fast, effective means of financing as well. You should consider crowdfunding for your multifamily investing if you’re looking for lower risk options. The multifamily investing market offers great potential if you can afford the properties. When investing in this market you should finance through seller financing, mortgages, government backing, private money lending, and crowdfunding. You can profit by having the right form of financing for your multi-family investing.